Product categories of Goji Berry, we are specialized manufacturers from China, Goji Berry, Organic Goji Berry suppliers/factory, wholesale high-quality products of Low Pesticides Goji Berry R & D and manufacturing, we have the perfect after-sales service and technical support. Look forward to your cooperation! Goji Berry also known as wolf berry is the fruit of the Lycium barbarum or Lycium chinense, two closely related species. This kind of fruit mainly grows in China and is commonly use in Chinese daily cuisine for making soup or as tea. It`s full of nutrient value and has numerous implied health effects and has been termed as super fruit. 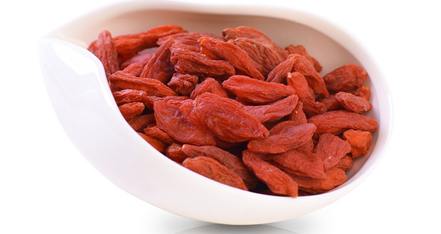 Goji berry have three kinds of quality and different grades. The qualities are Conventional, Low pesticide and Organic. Grades are 180pcs, 280pcs, 350pcs, and 500pcs per every 50 grams.